All of the loose threads are finally coming together and our questions are slowly being answered. Everything that’s happened thus far was all for Rin’s sake. At the start, she was a shy girl was hid behind Riki’s back at the sight of any stranger, and while she’s not very socially adept yet, there’s been much progress made. 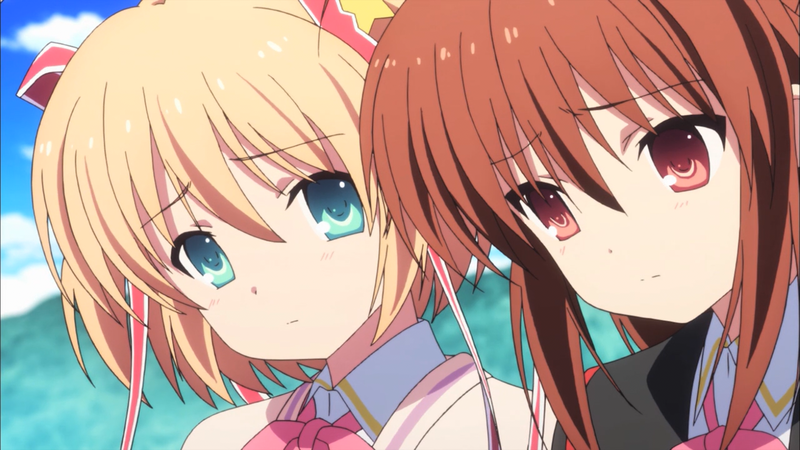 This is all because she was put into situations where she was made to socialize and make friends, namely with the new members of the Little Busters. 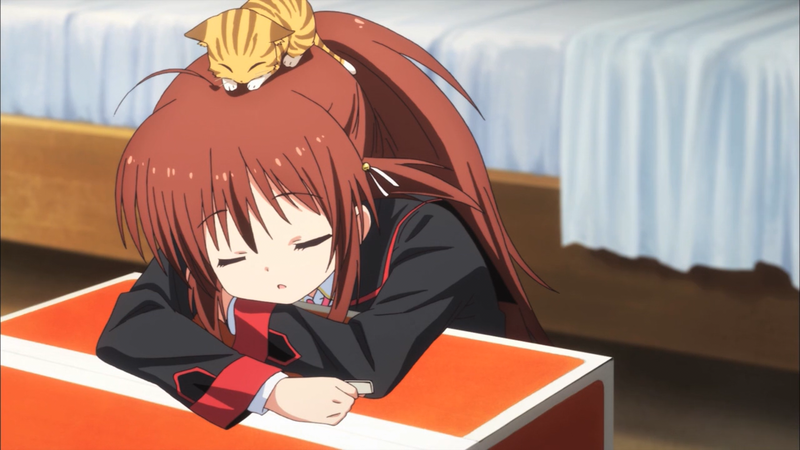 It’s interesting because we expect these events to be for the sake of Riki, but it’s actually all for Rin. Events like helping out the lunch ladies and the puppet show made a huge difference for Rin’s social anxiety. The question is, who’s behind arranging these events? Well, the answer is none other than the big man Kyousuke, and it almost seems like everyone knows about this plan except Riki. Is this ordeal with Rin supposed to be for Riki’s good, or is Riki supposed to help Rin? Or maybe there’s an outcome where they both benefit? It’s sad that they’ve only just begun to date and now they might be separated. I honestly don’t know if one energetic student can turn around an entire school, though that does seem like a scenario straight out of a visual novel. Never mind, I take it back because that actually sounds like a pretty interesting, if not a bit cliche, setting for a visual novel story. Something I actually didn’t like too much was the exchange between Rin and Riki, when he changed his mind about Rin’s decision to move. It wasn’t really clear what stance he wanted to take, and even if it was meant to be like that, I wish he stuck with one position. 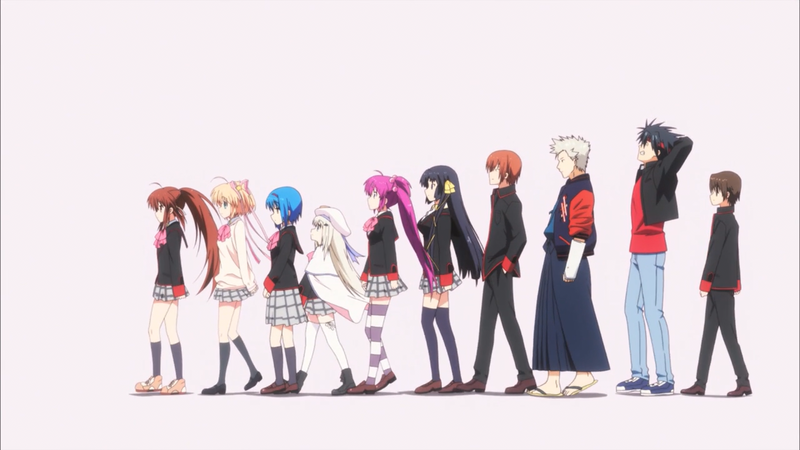 It felt like he was switching after each sentence, and that may be the fault of J.C. Staff. Will she stay or will she really go? A common question in dramas, I imagine, but I admittedly don’t have much experience in that department. There’s the possibility she goes and then there’s a time skip, but then what? Riki could convince her not to go, but after he gave her the okay, it seems unlikely. And what gives with Kyousuke vanishing into thin air now? Can’t anyone in this series stay put for five seconds? Makes sense that Kyousuke was the man behind all that, hard to imagine anyone else being responsible. With these developments though, seems like things are getting pretty complicated and there’s bound to be some problematic conflict ahead.